My Darling Annie, what have we done? Oh, how sad love breaks: It hurts for something sweet to turn bittersweet; for beauty and warmth to sour and cold. In the moment, our feelings are a jumble, a mess of warmth and joy and tension and excitement; fear and confidence swim in the same pool. Afterward, what’s left behind? hunter & wolfe’s poignant “Dear Annie” indulges in the rawest feelings of heartbreak, painting a painful and vivid portrait through raw lyrics and hauntingly delicate music. 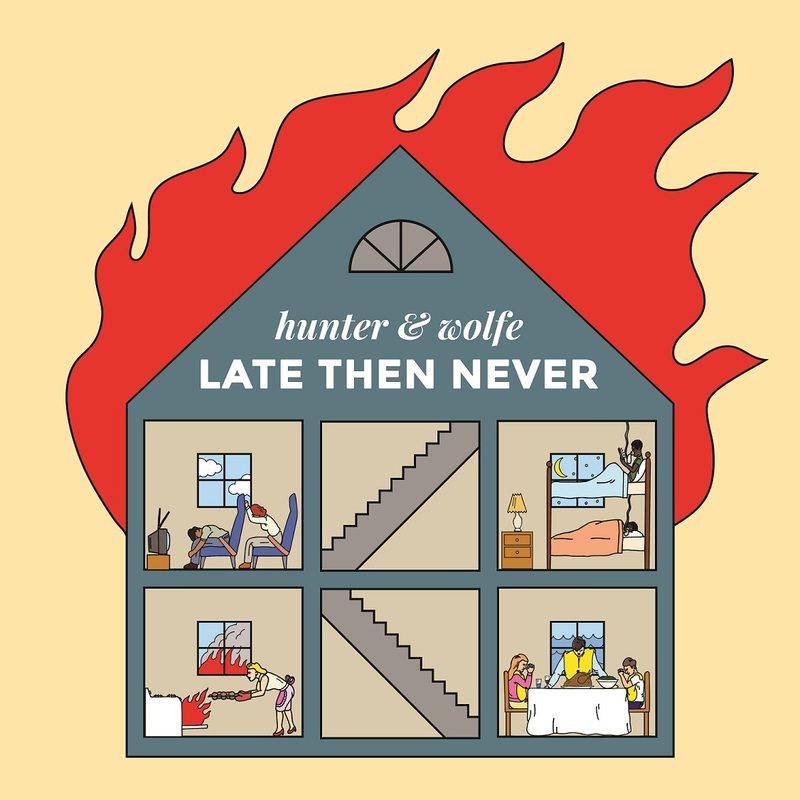 Atwood Magazine is proud to be premiering “Dear Annie,” the third single off hunter & wolfe’s upcoming EP Late Then Never. The Brooklyn-based duo of Michael Maffei and Sundeep Kapur, hunter & wolfe have divided their time between breathtakingly sweet acoustic work and lavishly emotional indie rock sounds for the better part of 6 years. Their forthcoming work is no different; singles “All the Vultures” and “No One Really Wants Me” have each displayed a different piece of the dynamic duo’s personality, the former a driving and intimate rock song, the latter a slower bluesy number whose title speaks for itself. “Dear Annie” is the tear-jerker acoustic track that will sweep you off your feet and leave you breathless. I know that it’s over, where do I begin? “Dear Annie” is the melancholic, therapeutic closure on a love the narrator never saw ending. It’s perfect in every way – intimate and distant, warm and cold. It’s the beautiful and tragic goodbye one never wants to say, but sometimes has to, against their own will, in order to pick up the pieces and move forward. Best that you listen to this song with a box of tissues.